Employees of Frankfurt’s Städel museum prepare the exhibition “Titian and the Renaissance in Venice”, hanging a masterpiece by Paolo Veronese titled “Rest on the Flight into Egypt” (c.1572), that arrived the day before as a loan from the John and Mable Ringling Museum of Art, Sarasota, Florida. An impression of Frankfurt’s Museumsuferfest (museum embankment festival), taken Aug.27 with a Nikon Coolpix A at an exposure time of 0,8 seconds. The festival is considered one of the biggest cultural events in Europe, drawing a crowd of some 2 million people every year. 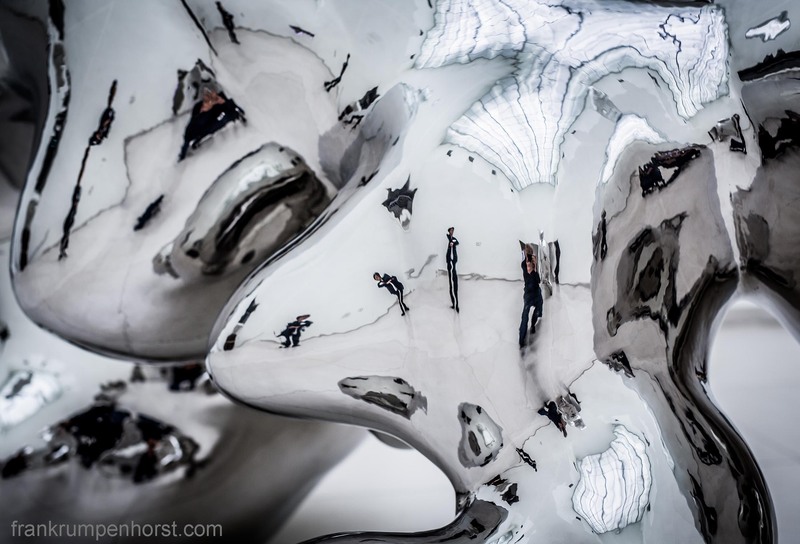 A museum employee and myself being reflected in an objekt at Frankfurt’s Museum of Modern Art (Museum für moderne Kunst, MMK) during a press preview of an exhibition named ‘Ray 2015 Photography Projects’, June 19. Click through the gallery to get a glimpse of Frankfurt’s “Nacht der Museen” (Night of the Museums) that took place April 25/26. 45 museums were open until 2.00 am, some 38.000 people came to watch and to party. 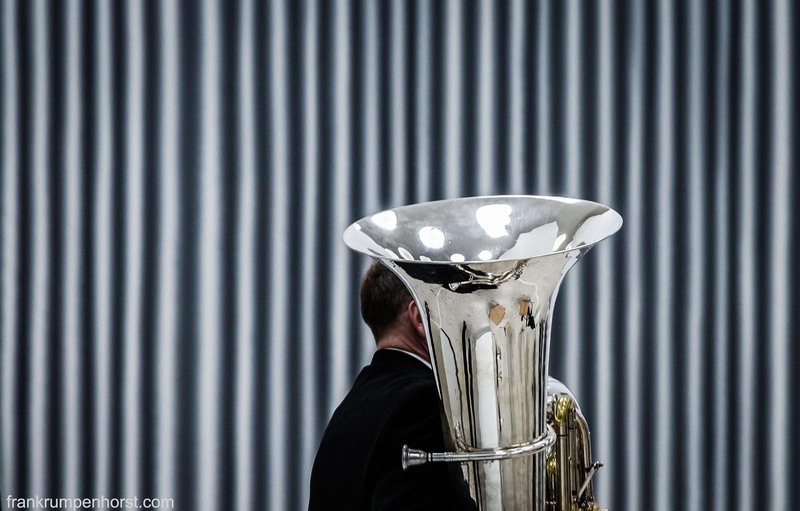 A tuba player of the HR Symphonieorchster (Frankfurt Radio Symphony Orchestra) gets ready for playing in front of Gerhard Richter’s 1967 painting named “Großer Vorhang” (Big Curtain) during a ceremony marking the 200th anniversary of Frankfurt’s renowned Staedel museum, March 15. A grand public celebration was held with a diverse program and free admission for everyone.